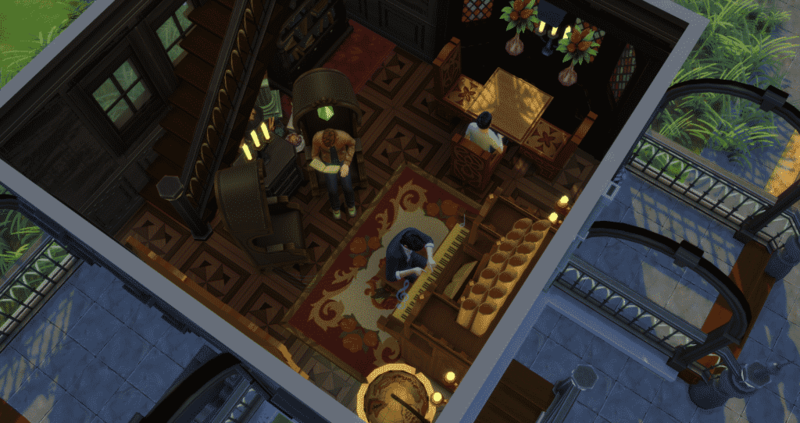 Hi, I’m Jason Sterling and this is the first in a series of articles outlining build tips and tricks within the new world of Forgotten Hollow in the Sims 4. I’ll start this article with the “Sims Builder’s Three Best Friends” in-game cheats. I’m going to highlight in this article what I consider “My Rule of Three” to a successful mini-build on a small lot. 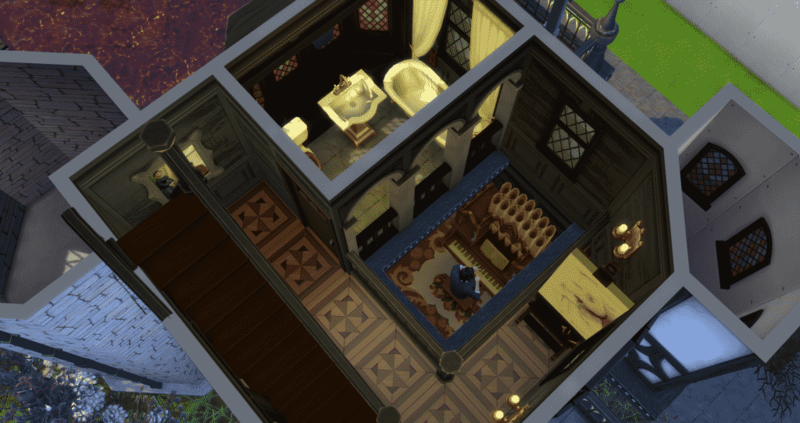 Also, I will be using my MiniVlad Manor, designed for my re-build of the Forgotten Hollow world, as example and hopefully inspiration for your own Vampiric Mini build. This build was done following the requirements of the Sims Forum Mini/Micro Builds Topic. 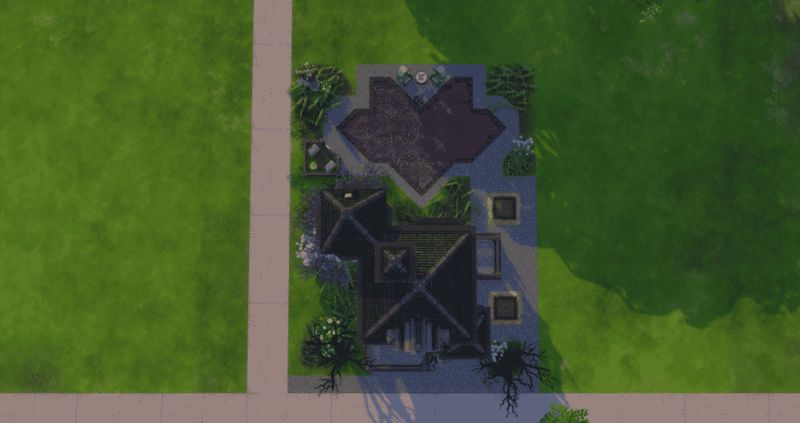 Due to these requirements I could use no more than a 5×5 square space on each level, no more than 100 squares total living space in the build, and a 20×15 lot. The Sims 4 is an excellent vehicle for executing mini houses of this sort due to it’s avoidance programming enabling tighter, more real to life spaces than before. Sims can squeeze through spaces, around objects and other sims with ease. In the pictures the walking sim is able to pass from the back porch, coming through a door placed directly behind the dining chair. 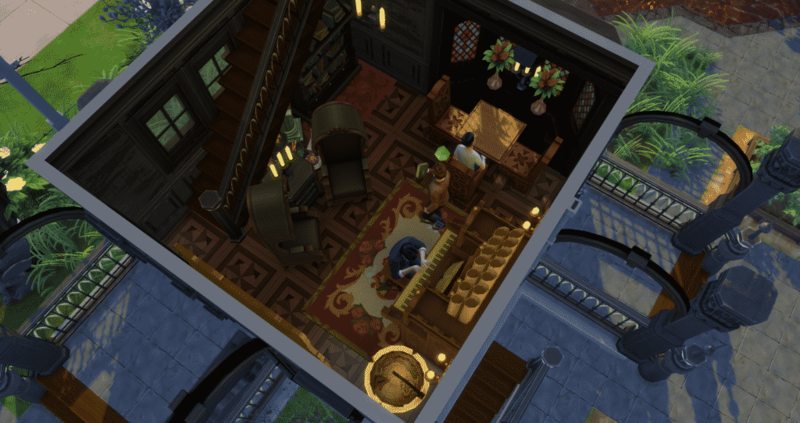 He then passes between sims sitting at both the dining table and the organ. He ends sitting at the occasional chair without hesitation or blockage. Number One Rule of Mini-Builds– Don’t be afraid to crowd and multi-task a small room. This 5×5 space works as living room/ library/ dining room and music room. Just as the room above it functions as both bath and art studio, along with a sizable and dramatic cut out to the floor below. Ahh, the mournful sound of organ music drifting upward as you bathe. Number Two Rule of Mini-Builds– Build up, not out. Only being allowed 25 squares per level for living made this a necessity. However, even when building on your own, without a challenge dictate, building up makes sense on a small lot. It frees up space for outdoor activities like gardening, visiting the cemetery and a pool. The pool pictured here does double duty as a place for swimming and storing Plasma! Not really of course. Swimming in Plasma would be a little sticky but I’ve built the pool in dark vampire style. I swapped out the water color, side tiles and pool bottom tiles with blacks and reds creating the unsettling image of plasma. Nice huh? LOL. Number Three Rule of Mini-Builds: Keep it small- keep everything small. 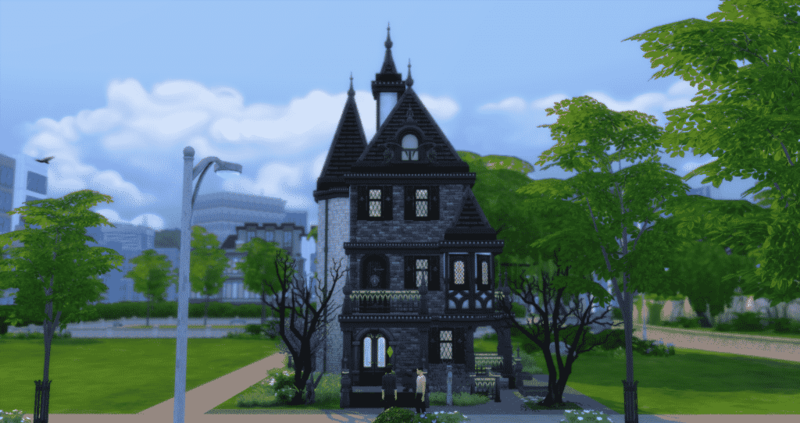 When doing a style specific, niche build like this one you hate to leave out the essential Gothic elements. You can’t dismiss the ominous sealed off tower or an overgrown cemetery and there’s no reason to. Part of the charm of mini-builds is their diminutive size, so do it- do everything but do it small. 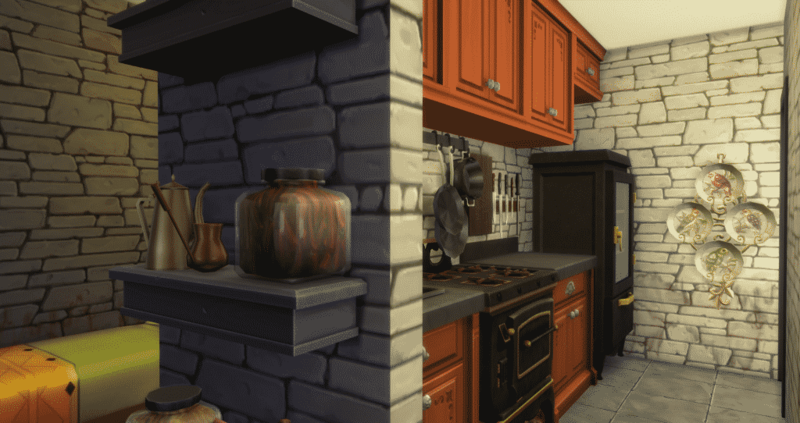 Take the tiny but functional kitchen shown here. There’s a servants quarters tucked in behind it. There’s lots of decor, lots of clutter and lots of charm. You can even cook Walleyed Surprise or run a bakery in just these four tiles. Think of everything like a child’s playhouse, very detailed but very compact. And that is “My Rule of Three”. I hope it helps you turn your small lots into a big stage for your sims and your stories. In my next article I will be doing a tutorial outlining the building of a large, open, double-side fireplace. Furthermore, I’ll be using my Colonial American era building in Forgotten Hollow, The Tavern, as the stage. I will illustrate to full effect the use of the Height Slider- Number 9 and 0 unlocked by the bb.MoveObjects cheat. FreeSO is back and running!